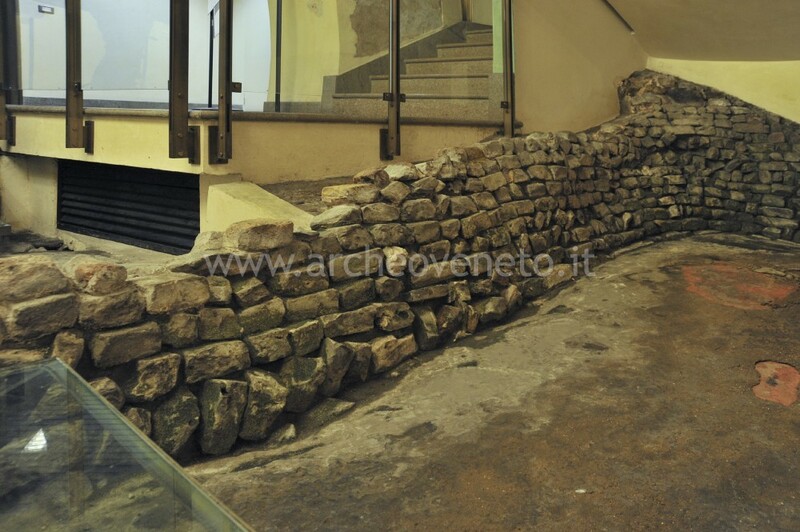 At the basement of the bank “Banca Antonveneta” it is possible to access an archaeological area that displays: part of a Roman road of the I century B.C. 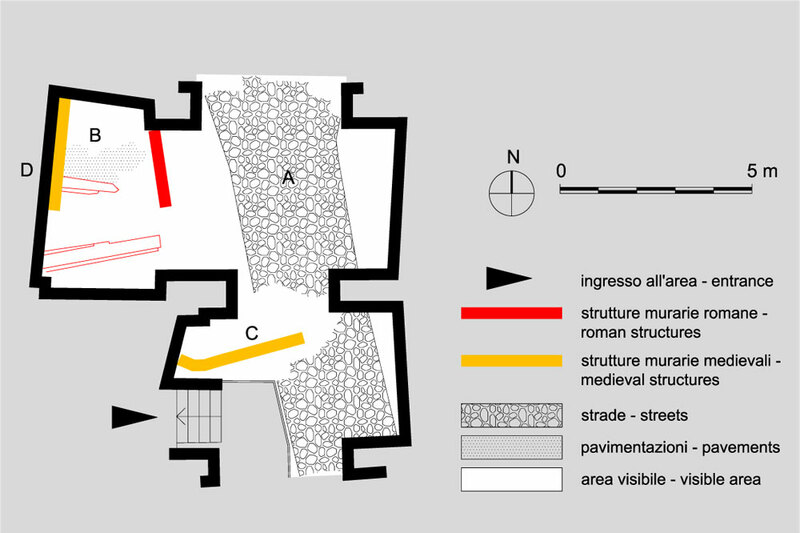 (A), the remains of some coeval adjacent buildings, part of a pavement of III-IV century A.D. (B), and two Medieval buildings (C and D). 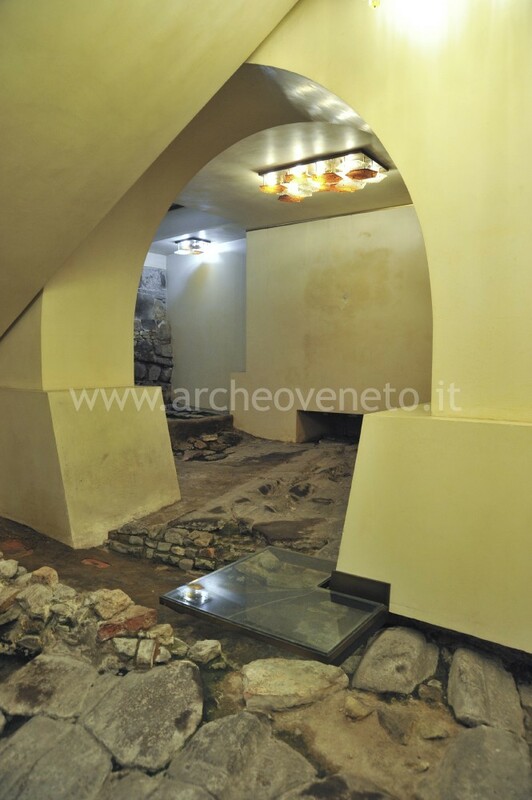 The excavations were carried out from 1987 by the General Direction for Archaeological Heritage in the Veneto region on the occasion of the works for renovating the palace “Palazzo Montivecchi”. 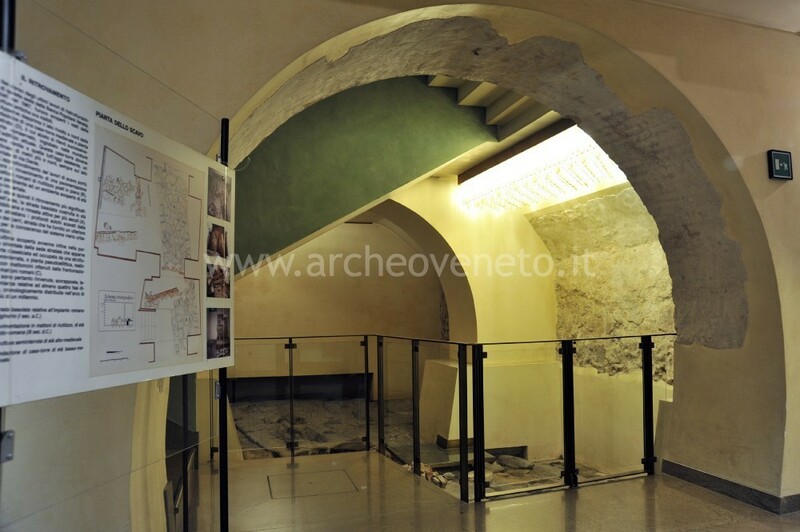 These works, including the restoration and consolidation of the archaeological structures, ended in 1993. 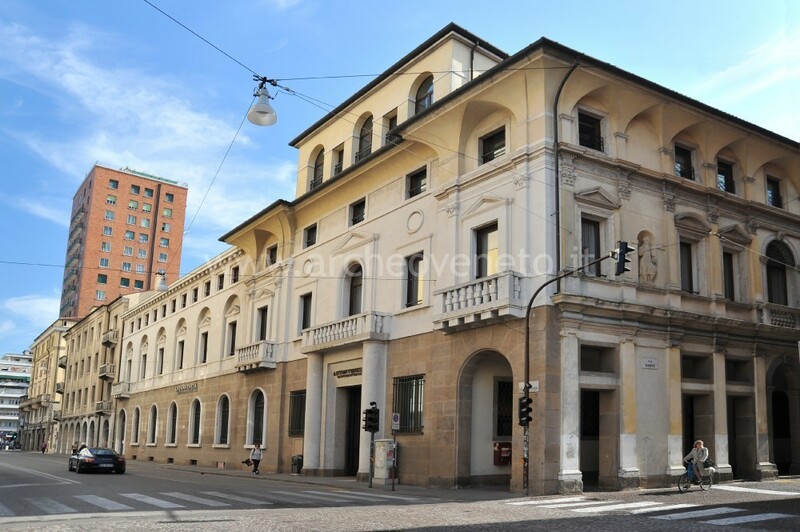 Padua is located about 20 km west of Venice, at the eastern margins of the Po plain, in a completely flat area which is crossed by various rivers that have shaped and protected the city through time. 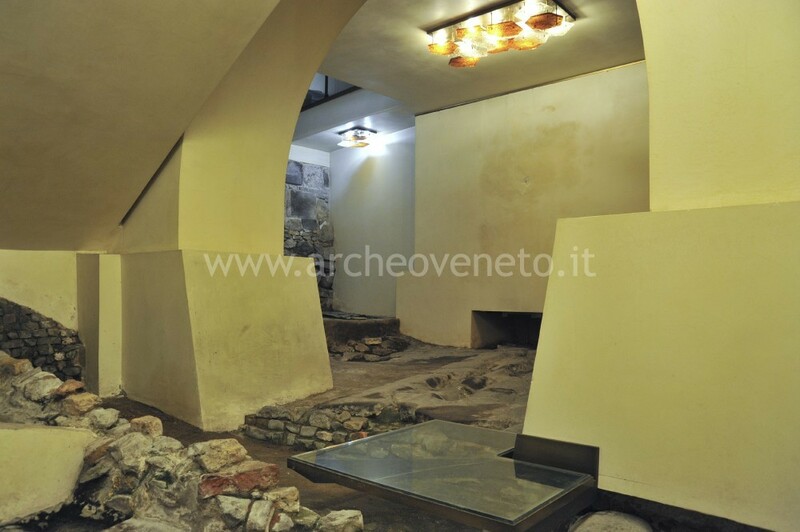 This archaeological area is in the centre of the modern and Roman city, which in the past had as main axes the streets “Via Roma”, “Via VIII Febbraio” and “Via San Fermo”. The main and most ancient remain in this area is road A (I century B.C. ), which is paved with slabs of trachyte from the Euganean hills and which has a humpback roadway. The road is 2,80 metres large and shows visible tracks that have been produced by the repeated passage of carts wheels. 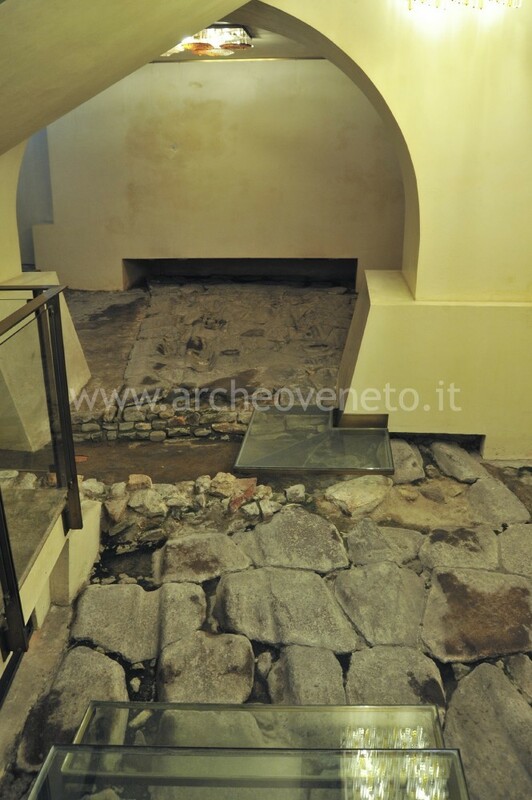 The sidewalks, which are not conserved in their original location, were found nearby. Coeval to the road is the building displaying same orientation and the road itself. 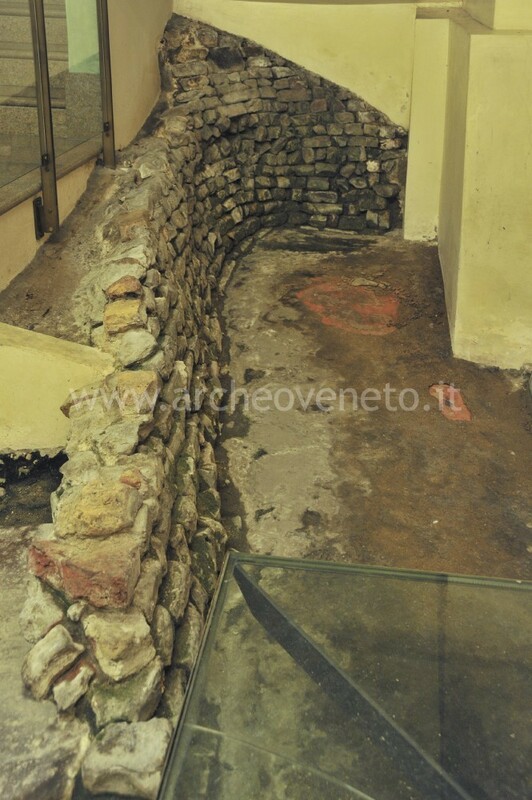 The finding, inside this building, of half a buried amphora (which is still there) and of other pottery containers suggests that this building might have been used as warehouse or storeroom. 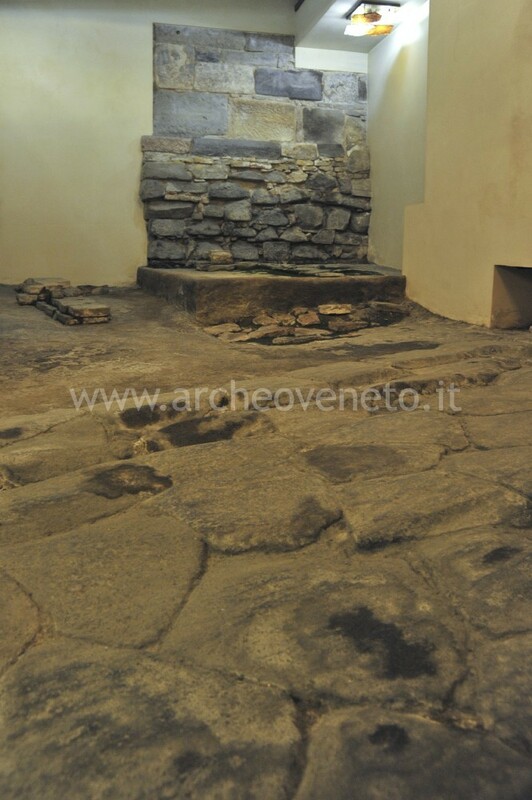 The late antiquity structure B (III-IV century A.D.) has a floor that is made of brick fragments directly fixed to the ground. This structure is oriented differently from the above-mentioned road, and this shows proof of a complete change in the previous topographical organization. Structure C is early Medieval. It is partially buried in the ground, it is north-south oriented and it is marked by small regular bricks made out of Roman bricks. 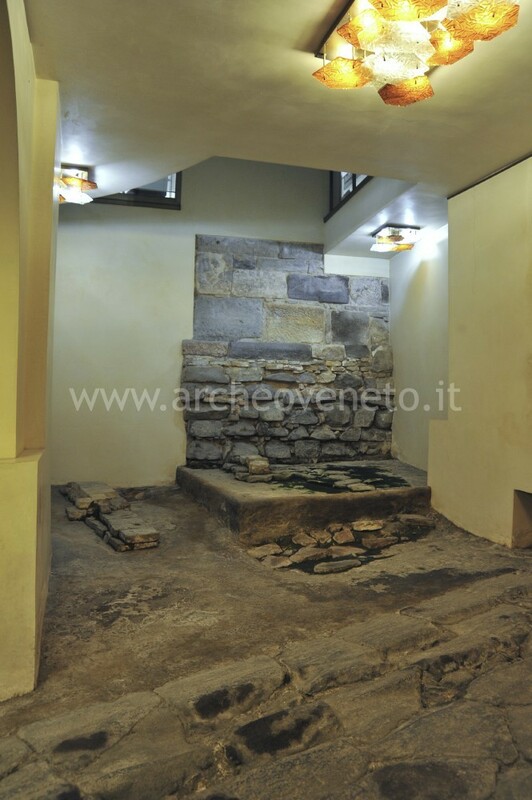 Finally, structure D is the foundation of a late Medieval building made of stone blocks partially kept together by mortar and partially set up as per dry stone technique. This building has been interpreted as tower house. 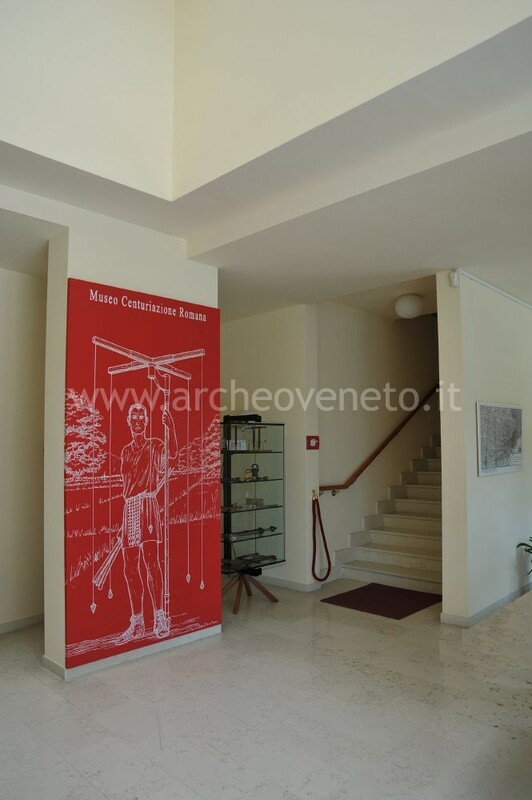 Baggio Bernardoni E. 1993, Le strutture di età romana e medievale scoperte nel sottosuolo del palazzo dei Montivecchi, in Il palazzo dei Montivecchi della Banca Popolare Veneta, a cura di Olivato L., Padova, pp. 25 – 35. Bonetto J. 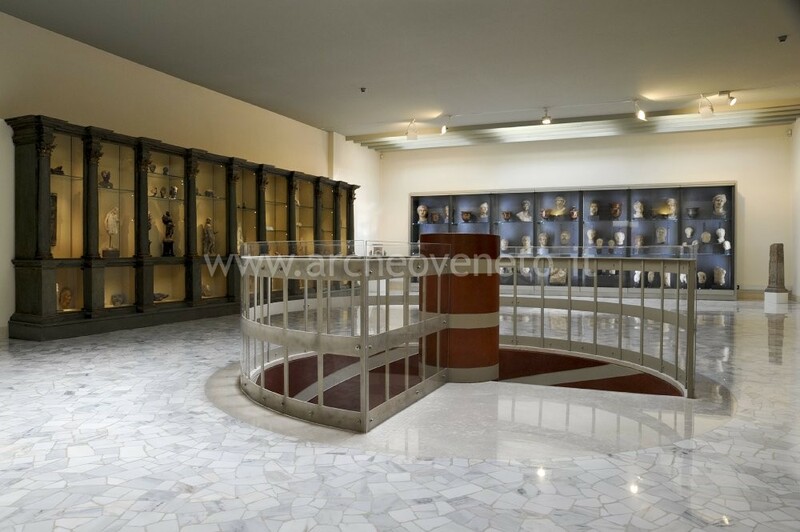 2009, Veneto (Archeologia delle Regioni d’Italia), Roma, pp. 475.